Verizon Digital Media Services, part of Oath, today announced that it has been selected by Tennis Channel to power the Tennis Channel app’s video delivery. The Tennis Channel app offers live tennis matches and tennis-related VOD content to fans around the world. Verizon Digital Media Services’ end-to-end platform, which includes the all-new Live Event Operations managed service, will help to ensure that Tennis Channel app users have access to high-quality video content. The most recent major tennis tournament streamed under this new relationship was the BNP Paribas Open in Indian Wells, California, March 7 – 18, 2018. Verizon Digital Media Services helps power the app’s video delivery of more than 700 live tennis matches from around the world and more than 1,500 VOD assets throughout the year, including the annual Roland Garros (French Open) Grand Slam in May. Tennis Channel is the primary rights holder for this marquee event and will now have a stream for every court – 16 simultaneous live streams in total – a first for 2018. The Verizon Digital Media Services platform features award-winning services that work in tandem to ensure broadcasters and rights holders can quickly, cost-effectively and securely stream content to mobile and connected devices through a single trusted partner. The all-new Live Event Operations managed service encompasses pre-event preparations and day-of-show operations that are handled by an experienced team of live event leads who act as an extension of Tennis Channel’s operations and engineering team. 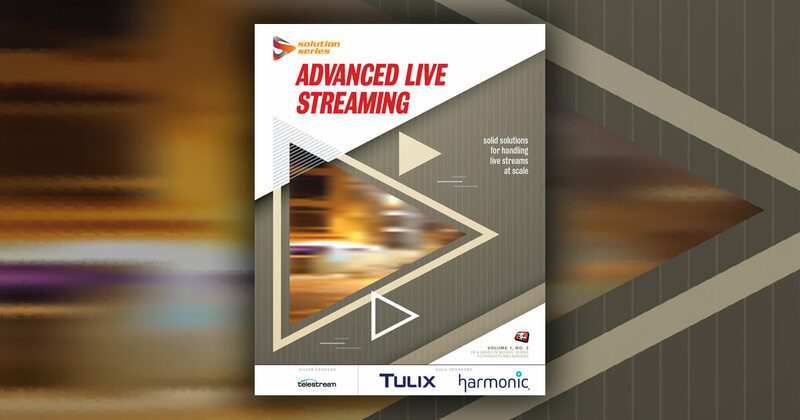 This option relieves broadcasters and rights holders of dealing with the hassle and complexities of directly managing live event OTT streaming and helps expand operations requirements to cover more events. Additionally, Verizon Digital Media Services’ Uplynk Video Streaming service integrates with Tennis Channel's proprietary in-house scheduling and content management system, Storyline, enabling game highlights to be published as VOD assets. Verizon Digital Media Services is part of Oath, a dynamic house of media and technology brands that reaches one billion people around the world. To learn more about Verizon Digital Media Services and its online video streaming technology, visit: https://www.verizondigitalmedia.com/. Tennis Channel Plus is available on the Tennis Channel app as well as online, all iOS or Android devices and connected-TV devices Apple TV, Roku and Amazon Fire. Verizon Digital Media Services offers an industry-leading, end-to-end digital media platform to prepare, deliver, display and monetize online content. The platform is built on the world’s largest, most connected network, and has over 125 points of presence on six continents, ensuring high-quality viewing of digital content on any device, anytime, anywhere. The company powers websites, apps and OTT video services for many of the world’s largest publishers, media companies and enterprises. Learn more about how Verizon Digital Media Services is delivering the future of media at www.verizondigitalmedia.com.